Usually IMUs have only an accelerometer and a Gyro. Gyro gives the angular rates around x,y and z axes. The gyro can help to measure the rotated angle around z axis. But this is not very accurate method since gyro gives the angular rate to calculate the rotated angle by multiplying from the sample time. Calculating the absolute rotation is not possible unless you use an magnetometer. 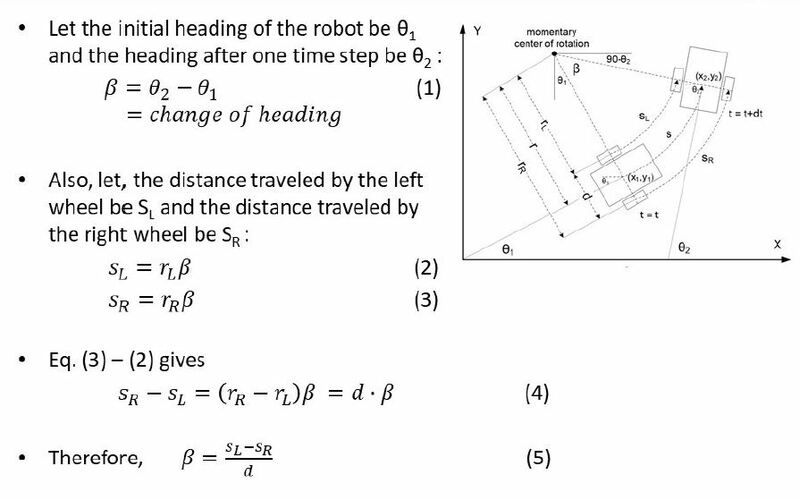 My personal advice is to use the wheel encoders to calculate the rotated angle using the following method. Not the answer you're looking for? Browse other questions tagged mobile-robot or ask your own question.